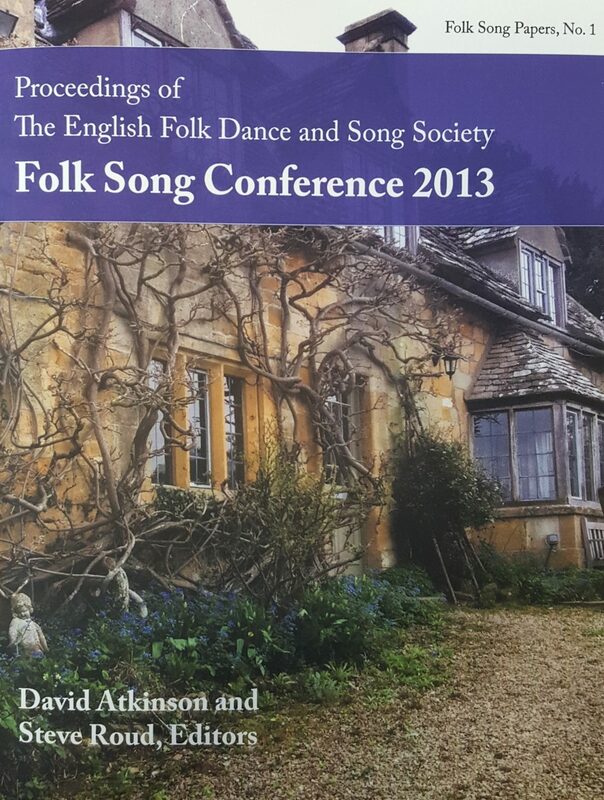 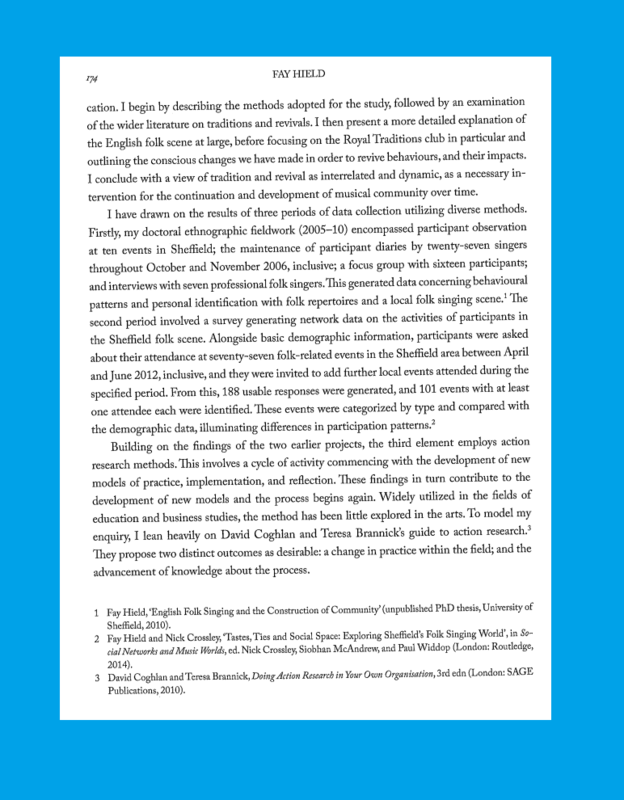 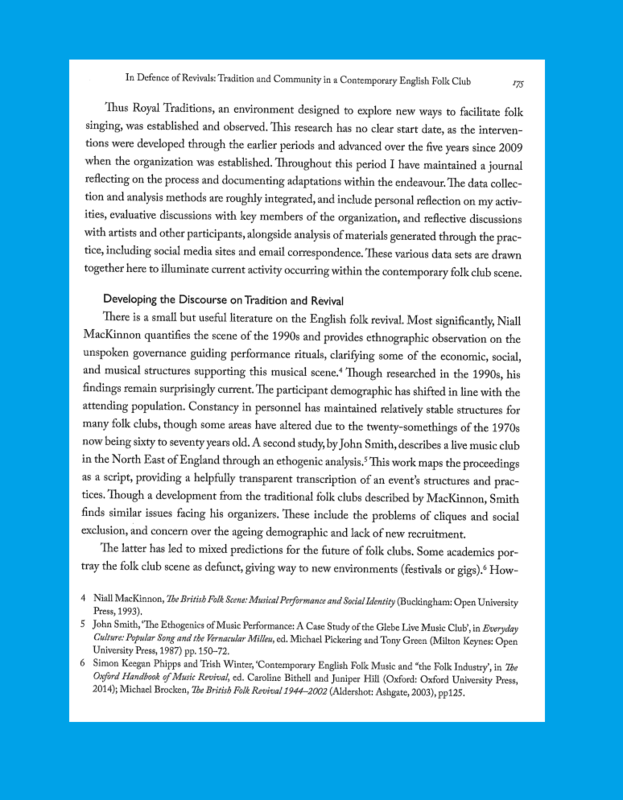 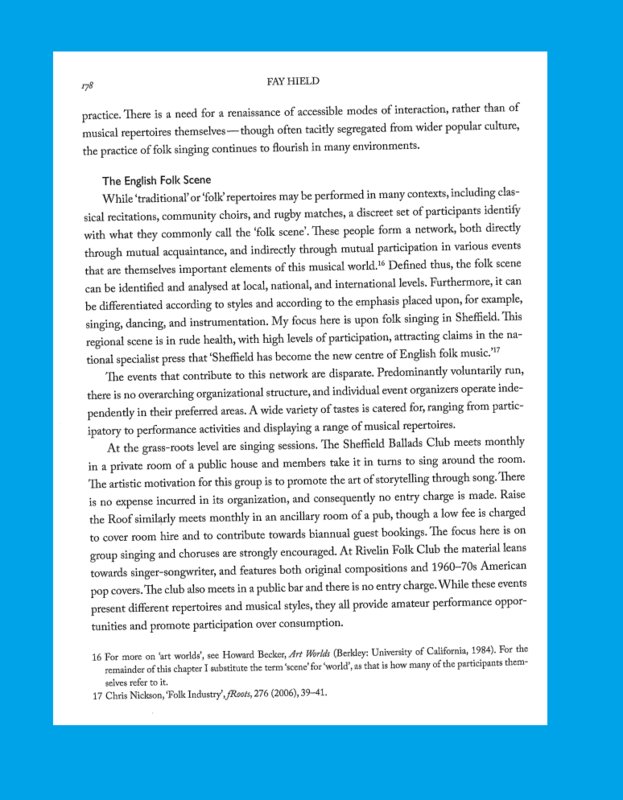 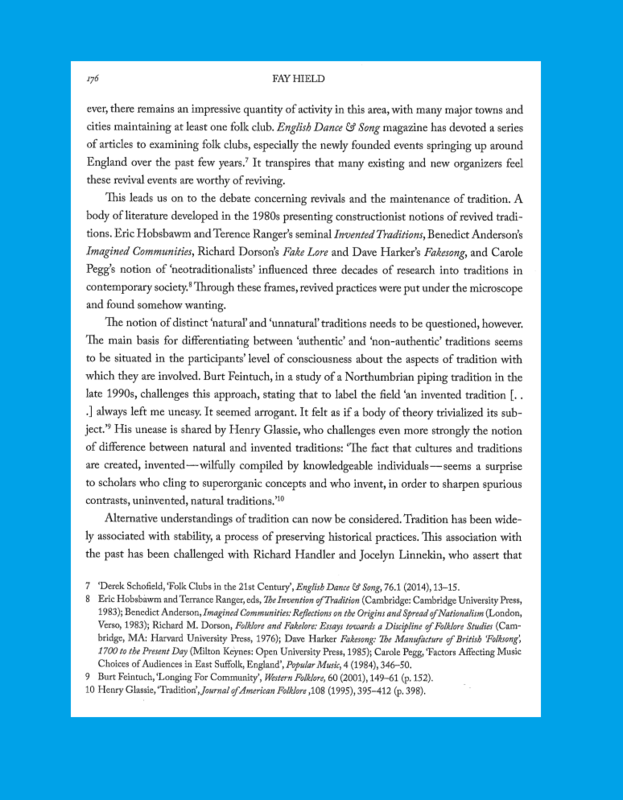 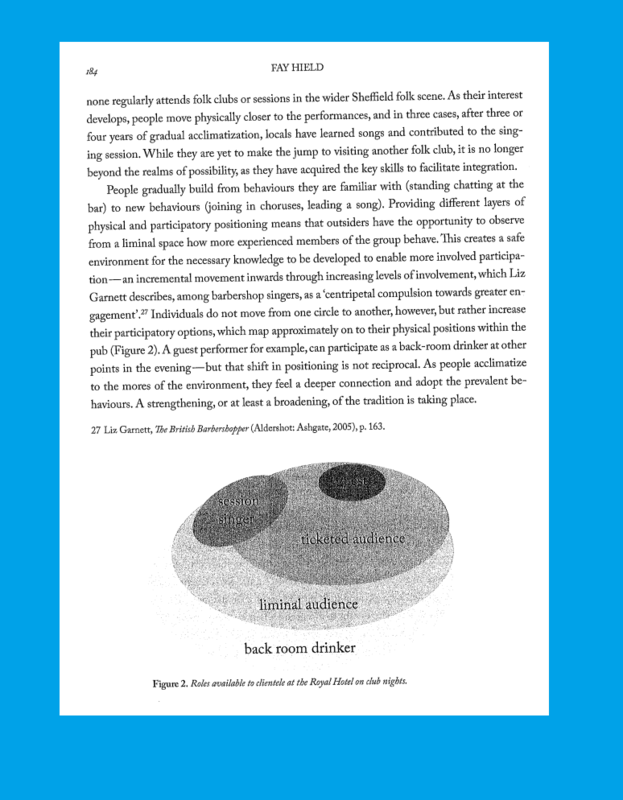 David Atkinson and Steve Roud (eds), Proceedings of the English folk Dance and Song Society 2013, Folk Song Papers, No. 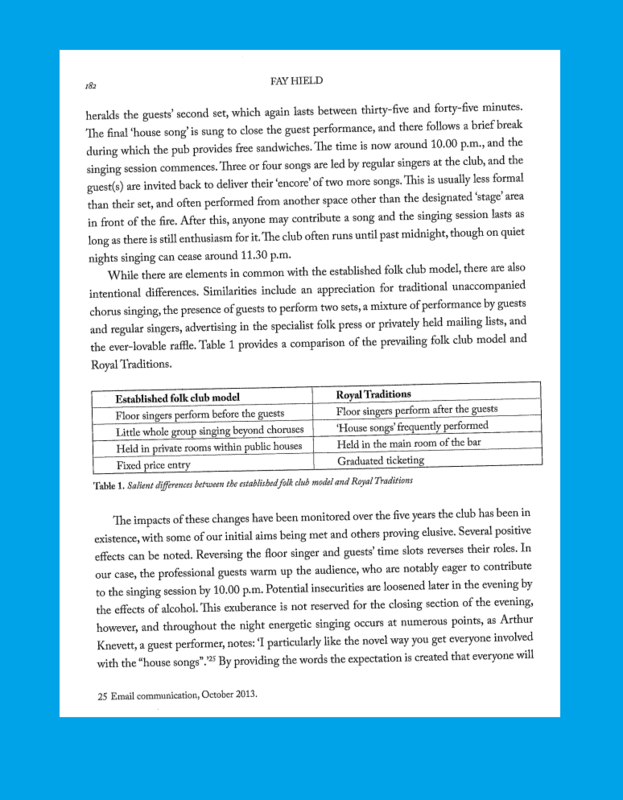 1 ([n.p. 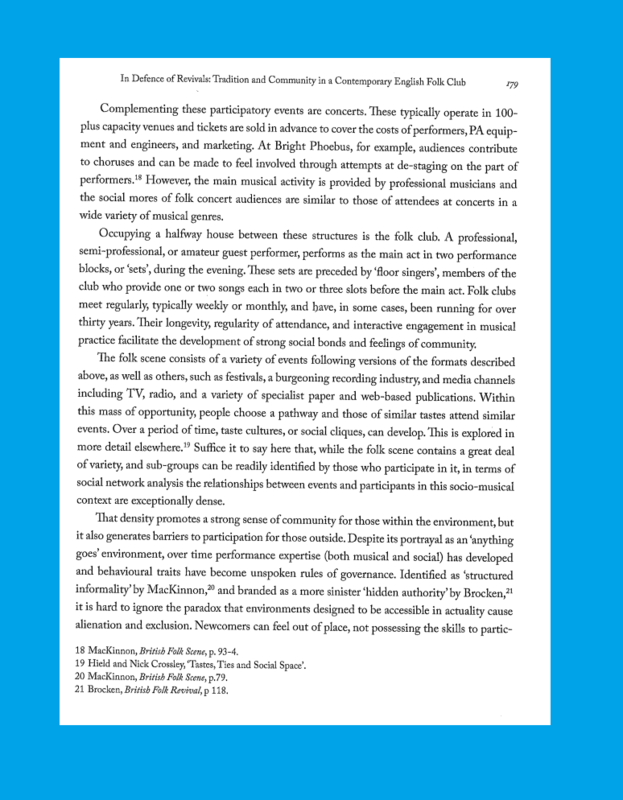 ]: Camsco Music; Loomis House Press, 2015). 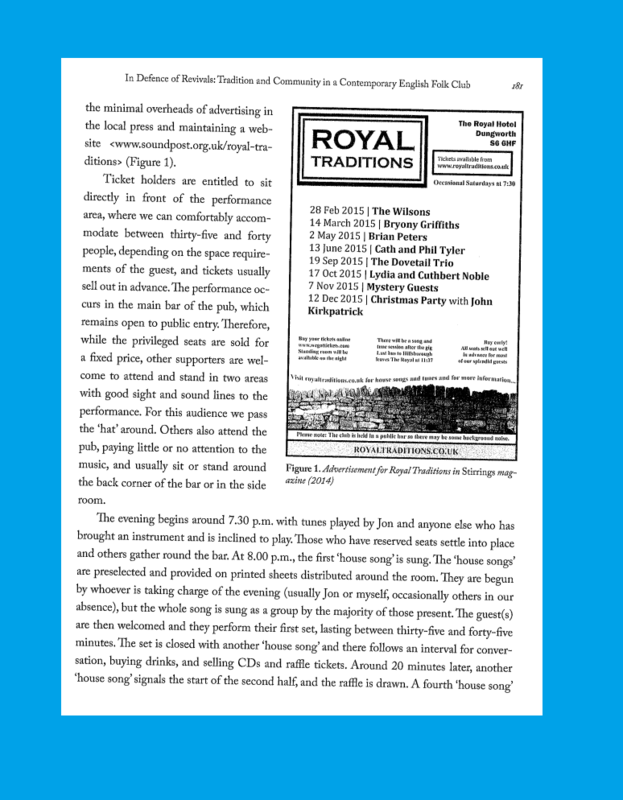 The publication can be purchased here. 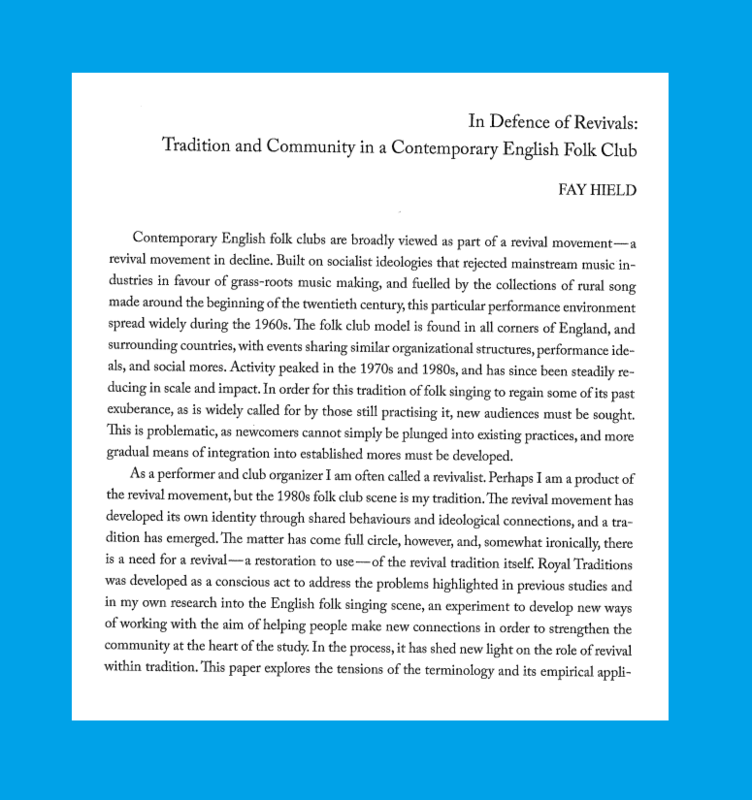 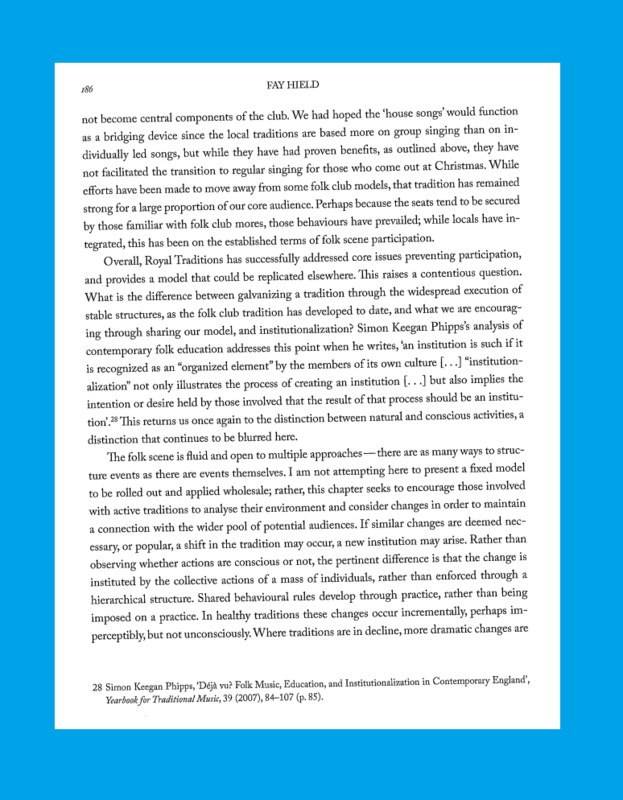 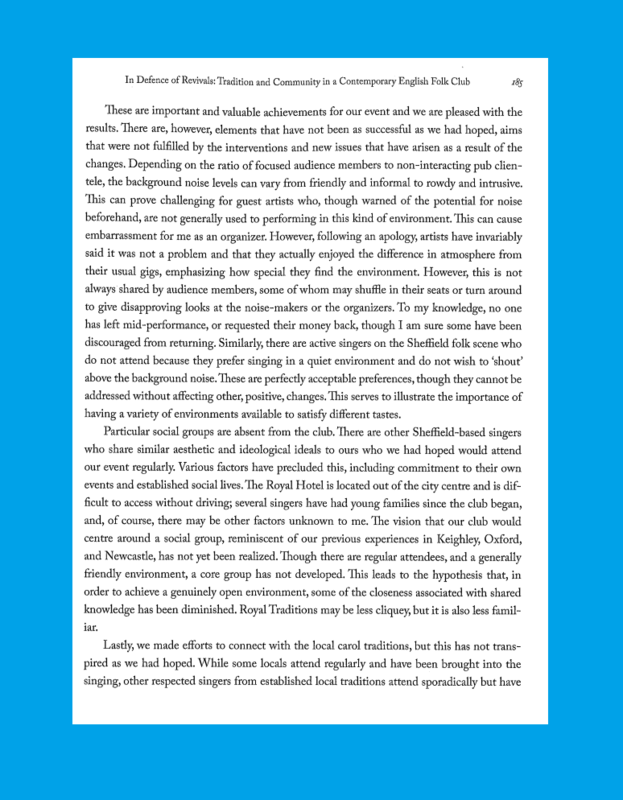 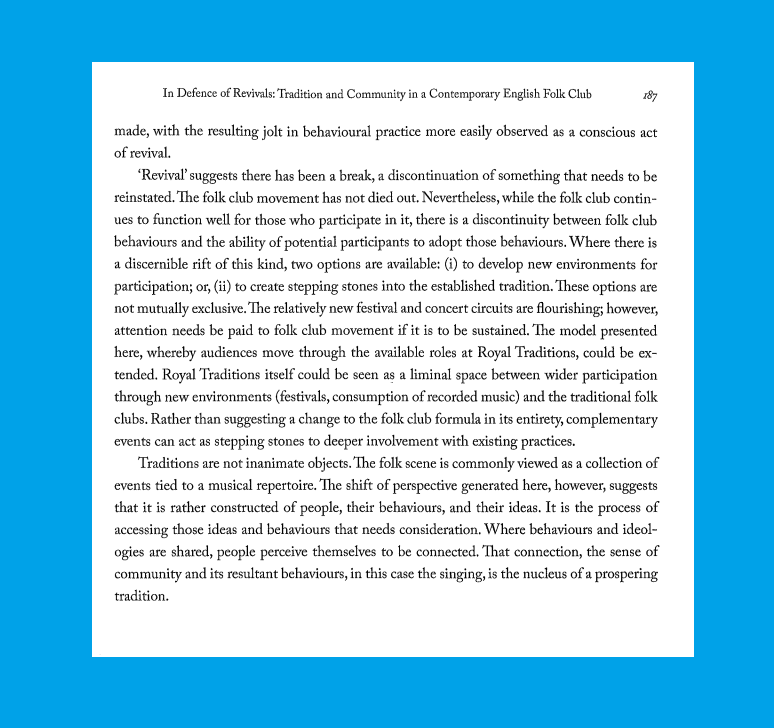 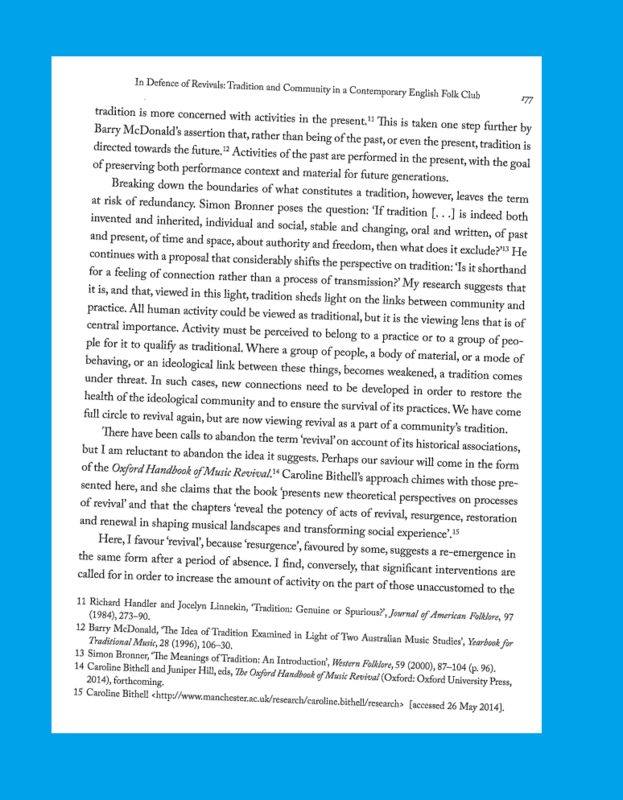 Hield, F. 'In Defence of Revivals: Tradition and community in an English folk club' in David Atkinson and Steve Roud (eds), Proceedings of the English folk Dance and Song Society 2013, Folk Song Papers, No. 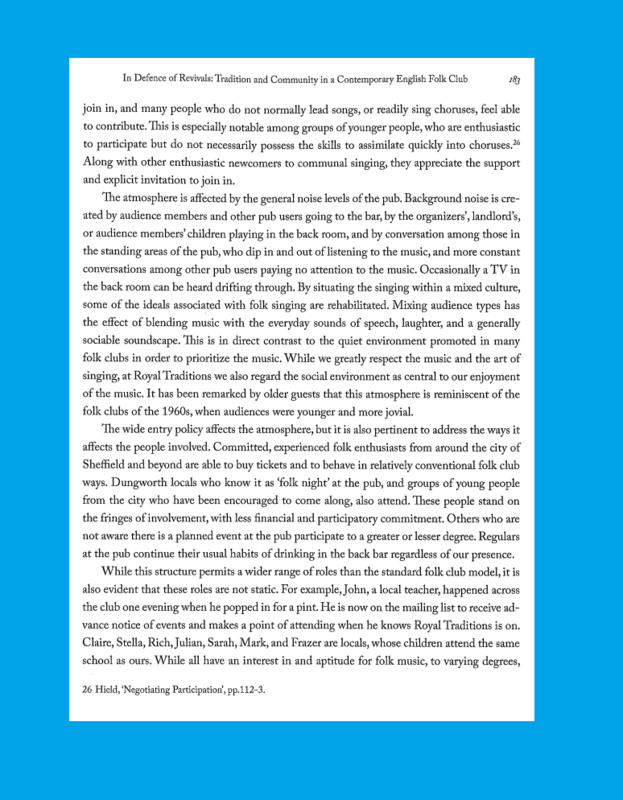 1 ([n.p. 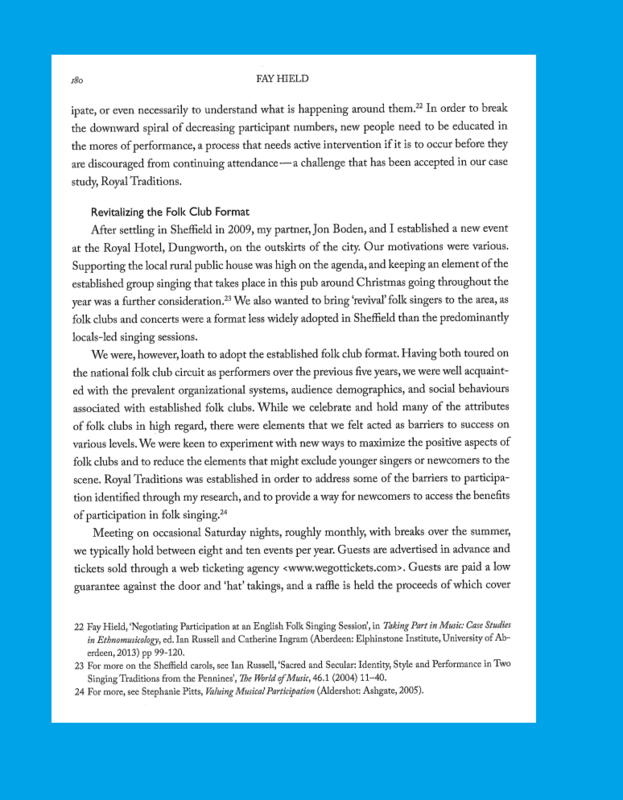 ]: Camsco Music; Loomis House Press, 2015), 173-187.